ShutterShop is a family-owned and operated Shutter and Window Blinds business in Bradenton, FL. We aim to provide you with impeccable services for blinds and shutters at cost-effective prices. You can also get FREE estimates on window blinds and shutter installations. Get in touch with us today! We are the manufacturer, all of our shutters are made at our Bradenton factory! Visit us at ShutterShop today for superior shutters at unbeatable prices. You can find any type of blind at ShutterShop. Whether you need aluminum blinds or wooden blinds, sheer blinds or cellular blinds, we have it all. Call us today for a FREE in-home measuring. Our plantation shutters are made from a patented blend of hardwood and durable thermal polymers. Their beauty will not ever warp, crack, chip, or fade. All of our installations are FREE and performed by our team of experienced craftsmen. Get in touch with us for your FREE estimate on blind and shutter installation. All of our Shutters are installed by our full time employees! All of our shutter installers have a plethora of knowledge and experience, well beyond the shutter industry standard. Our quality shutter installation ensures that your shutters are custom fitted to each of your windows individually. One size does not fit all, we take the time to make sure each window looks its best. 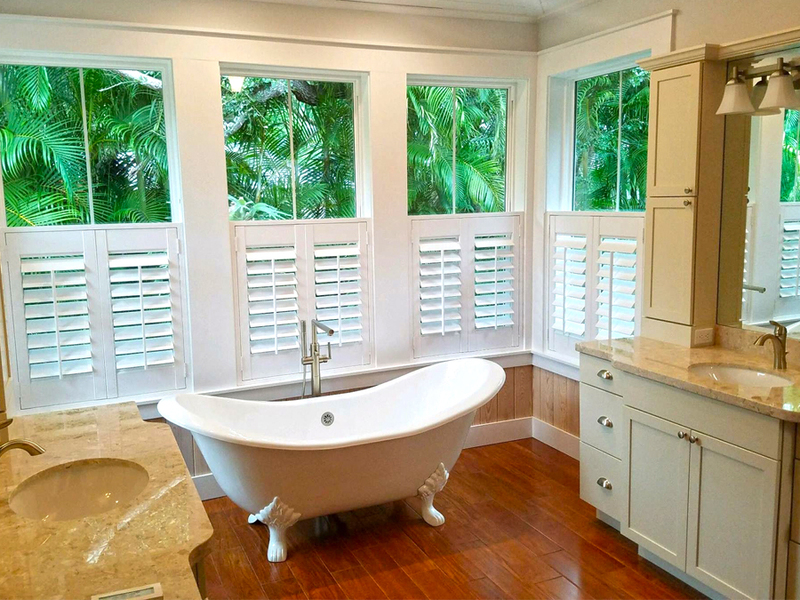 Plantation shutters are, in our opinion, the cream of the crop in regards to window treatments. 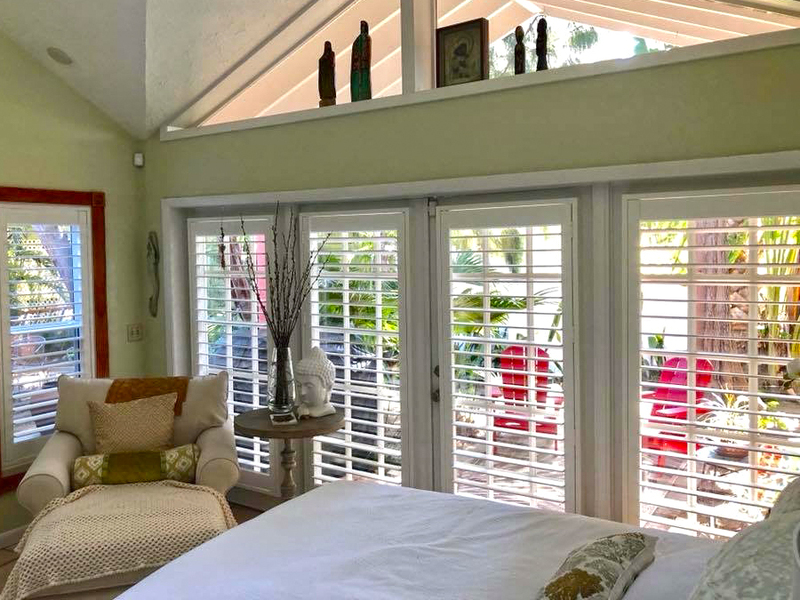 Plantation Shutters have the ability to transform the look of a room unlike any other window treatment. 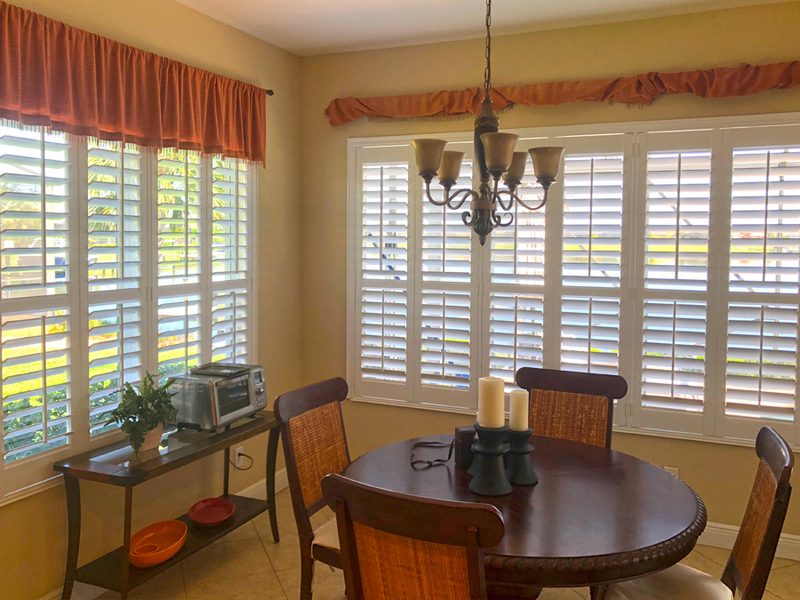 The plantation shutters come with a lifetime guarantee that they will never warp, chip, fade or discolor. When you purchase your shutters from us we always offer Free Shutter Installation! Once your install is complete, our shutter installers will educate you on everything you need to know about operation, cleaning and maintaining your shutters! All of our window blinds are installed by our full time employees! All of our window blinds installers have a plethora of knowledge and experience, well beyond the window blinds industry standard. Our quality window blinds installation ensures that your window blinds are custom fitted to each of your windows individually. One size does not fit all, we take the time to make sure each window looks its best. When you purchase your window blinds from us we always offer Free Window Blinds Installation! Once your install is complete, our window blinds installers will educate you on everything you need to know about operation, cleaning and maintaining your window blinds! We manufacture shutters here locally. This saves time and allows us to provide more value as well as an additional level of quality control. Stop by our showroom and see what we can do for you! Unlike most shutter and blind companies only our employees install your blinds and shutters. We never subcontract this work, quality control is way too important to us to chance.